Rain is a part of nature and in most cases it is always welcome, except when it somehow gets into your home. The worst type of home damage usually results from rainwater. Not only can it damage your walls, floors, furniture, and home structure, but it can also lead to mold and mildew that can fester, cause damage, and lead to illness in the home – and as everyone knows, such a situation is very unwelcome. As someone who has had to deal with home water damage caused by rain, I have compiled a list of the most frequently asked questions by homeowners just like you. The information below can serve as a guide to your most common questions. What are the most common areas of rain leaks? There are a few very common areas that rain leaks can occur. Below you will find a simple list with the area description. It should help you easily identify the area of your home to check if you see any water damage. Some areas do require professional services to review. Field of Shingles: This is the area that is covered in slate, shakes, or shingles. Signs of water damage are cracks, vertical knockouts, or nails that are raised from their place. Valleys: This area is where the two planes of your roof intersect. Signs of a water leak in this area are shingles falling near the valley. Wall Step Flashing: This is the area where your roof meets the wall, hence the “step.” The way to verify if there is a leak in this area is to check if there is rust building up. If so, then you might just have a problem. Inside the Home: The other areas that tend to suffer from leaks are those within the home. For example, if you have an attic, signs of a leak there are water damage on the walls. Other areas include your basement and within the home. You’ll see water streaks, the paint falling apart, and exposure of the wall insulation in the worst cases. What Should I Do if I have a Rain Leak in my Basement? 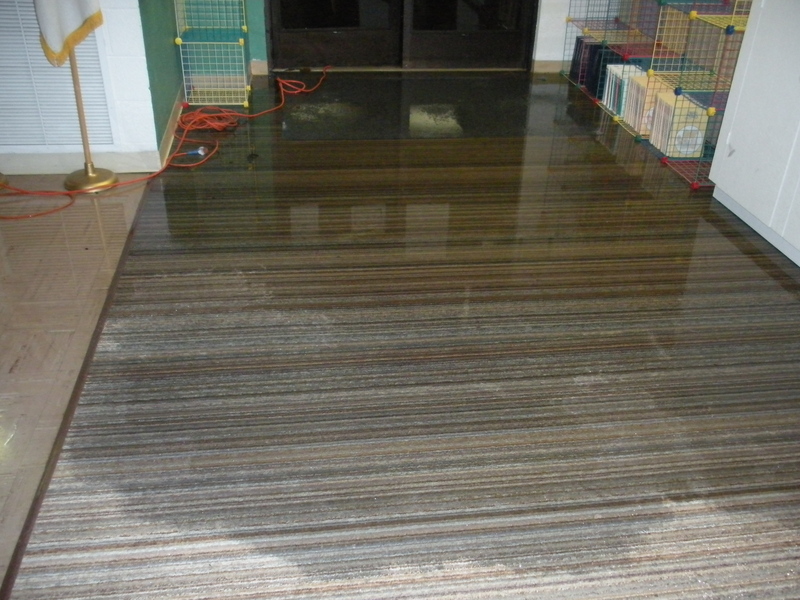 There are a number of steps that you can take with a basement rain leak. The first is to install an interior drainage system such as a sump pump. This pump acts as a “drain” for water before it reaches your basement floor. The pump will then remove the accumulated water outside of your home. A second solution is to waterproof your basement with waterproof paint and to repair issues like cracks with plugging materials, such as drylock. The great thing about waterproof paint is that it goes very well over concrete and it protects your basement wonderfully. Can I Waterproof my Roof? There are indeed ways to waterproof your roof. Before waterproofing though, you need to fix and repair any issues with the roof. This will lead to the best results. To waterproof a concrete roof, you can use waterproof paint. It will seal your roof and keep any moisture out. For other situations, there are other waterproof coatings such as liquid waterproofing membranes, bituminous coating, bituminous membrane, and polyurethane liquid membrane. Each of these offers a different type of coating for your roof, and use depends on your roof type. To assess what is best for your roof, a professional is best. Professional services are great, especially if you do not have a great deal of knowledge or experience in the area. When it comes to roofs, you want the best protection and the most useful solutions. While tiny repairs can be done by you, professional services are useful for assessing the source of your water damage, what the best solutions for your water damage are, paint application and sealing, and to also help you understand which waterproof solutions to use. Overall, the entire process, while seemingly daunting, is actually much easier with professional help. If you’re going to do something, you should do it right.